214340 8065 Iveco 8065 series diesel engine. 214341 8065M12 Iveco 8065M12 Marine Diesel Engine Spare Parts Catalog. 214342 8065M12 Iveco 8065M12 Marine Generator Set Spare Parts Catalog. 214343 8065E00 Iveco 8065E00 Industrial Diesel Engine Spare Parts Catalog. 214344 8065.25 Iveco 8065.25 Industrial Diesel Engine Service (workshop / repair) Manual. 214345 8065LE00 Iveco 8065LE00 Industrial Diesel Engine Spare Parts Catalog. 214346 8065SE00 Iveco 8065SE00 Industrial Diesel Engine Spare Parts Catalog. 214347 8065SRE10 Iveco 8065SRE10 Industrial Diesel Engine Spare Parts Catalog. 214348 8065SRE25 Iveco 8065SRE25 Industrial Diesel Engine Spare Parts Catalog. 214349 8065SRU26 Iveco 8065SRU26 Industrial Diesel Engine Spare Parts Catalog. 214350 8065SU00 Iveco 8065SU00 Industrial Diesel Engine Spare Parts Catalog. 214351 8065SU07 Iveco 8065SU07 Industrial Diesel Engine Spare Parts Catalog. 214352 8065U00 Iveco 8065U00 Industrial Diesel Engine Spare Parts Catalog. 214353 8065U06 Iveco 8065U06 Industrial Diesel Engine Spare Parts Catalog. 214354 8065M12 Iveco 8065M12 Genset Engine Spare Parts Catalog. 214355 8065SRU26 Iveco 8065SRU26 Genset Engine Spare Parts Catalog. 214356 8065SU07 Iveco 8065SU07 Genset Engine Spare Parts Catalog. 214357 8065U06 Iveco 8065U06 Genset Engine Spare Parts Catalog. 214358 PU8065E00 Iveco PU8065E00 Power Unit Spare Parts Catalog. 214359 PU8065SE00 Iveco PU8065SE00 Power Unit Spare Parts Catalog. 214360 PU8065SRE10 Iveco PU8065SRE10 Power Unit Spare Parts Catalog. 214380 8140 Iveco 8140 series diesel engine. 214381 8140SRM15 Iveco 8140SRM15 Marine Diesel Engine Spare Parts Catalog. 214382 8140SE00 Iveco 8140SE00 Industrial Diesel Engine Spare Parts Catalog. 214383 8140.43 Iveco 8140.43 Automotive Diesel Engine Spare Parts Catalog. 214384 8140.43B Iveco 8140.43B Automotive Diesel Engine Service (workshop / repair) Manual. 214385 8140.43B Iveco 8140.43B Automotive Diesel Engine Spare Parts Catalog. 214386 8140.43C Iveco 8140.43C Automotive Diesel Engine Service (workshop / repair) Manual. 214387 8140.43C Iveco 8140.43C Automotive Diesel Engine Spare Parts Catalog. 214388 8140.43E Iveco 8140.43E Automotive Diesel Engine Spare Parts Catalog. 214389 8140.43F Iveco 8140.43F Automotive Diesel Engine Spare Parts Catalog. 214390 8140.43N Iveco 8140.43N Automotive Diesel Engine Service (workshop / repair) Manual. 214391 8140.43N Iveco 8140.43N Automotive Diesel Engine Spare Parts Catalog. 214392 8140.43R Iveco 8140.43R Automotive Diesel Engine Service (workshop / repair) Manual. 214393 8140.43S Iveco 8140.43S Automotive Diesel Engine Service (workshop / repair) Manual. 214394 8140.43S Iveco 8140.43S Automotive Diesel Engine Spare Parts Catalog. 214395 8140.63C Iveco 8140.63C Automotive Diesel Engine Service (workshop / repair) Manual. 214396 8140C00 Iveco 8140C00 Automotive Diesel Engine Spare Parts Catalog. 214397 8140SC00 Iveco 8140SC00 Automotive Diesel Engine Spare Parts Catalog. 214398 8140SC23 Iveco 8140SC23 Automotive Diesel Engine Spare Parts Catalog. 214399 8140SRC20 Iveco 8140SRC20 Automotive Diesel Engine Spare Parts Catalog. 214400 8140SRC21 Iveco 8140SRC21 Automotive Diesel Engine Spare Parts Catalog. 214401 8140SRC30 Iveco 8140SRC30 Automotive Diesel Engine Spare Parts Catalog. 214402 8140SRC31 Iveco 8140SRC31 Automotive Diesel Engine Spare Parts Catalog. 214403 8140SRC33 Iveco 8140SRC33 Automotive Diesel Engine Spare Parts Catalog. 214404 8140SRC36 Iveco 8140SRC36 Automotive Diesel Engine Spare Parts Catalog. 214420 8141 Iveco 8141 series diesel engine. 214421 8141M08 Iveco 8141M08 Marine Diesel Engine Service (workshop / repair) Manual. 214422 8141SM12 Iveco 8141SM12 Marine Diesel Engine Service (workshop / repair) Manual. 214423 8141E00 Iveco 8141E00 Industrial Diesel Engine Spare Parts Catalog. 214424 8141.67 Iveco 8141.67 Industrial Diesel Engine Spare Parts Catalog. 214425 8141.67F Iveco 8141.67F Industrial Diesel Engine Spare Parts Catalog. 214426 8141i07 Iveco 8141i07 Industrial Diesel Engine Service (workshop / repair) Manual. 214427 8141i07 Iveco 8141i07 Industrial Diesel Engine Spare Parts Catalog. 214428 8141i67 Iveco 8141i67 Industrial Diesel Engine Spare Parts Catalog. 214429 8141Si27 Iveco 8141Si27 Industrial Diesel Engine Service (workshop / repair) Manual. 214430 8141Si27 Iveco 8141Si27 Industrial Diesel Engine Spare Parts Catalog. 214431 8141C00 Iveco 8141C00 Automotive Diesel Engine Spare Parts Catalog. 214432 8141C67 Iveco 8141C67 Automotive Diesel Engine Spare Parts Catalog. 214433 8141SRC20 Iveco 8141SRC20 Automotive Diesel Engine Spare Parts Catalog. 214440 8149 Iveco 8149 series diesel engine. 214441 8149.03 Iveco 8149.03 Automotive Gas Engine Spare Parts Catalog. 214460 8210 Iveco 8210 series diesel engine. 214461 8210M22 Iveco 8210M22 Marine Diesel Engine Service (workshop / repair) Manual. 214462 8210M22 Iveco 8210M22 Marine Diesel Engine Spare Parts Catalog. 214463 8210SM26 Iveco 8210SM26 Marine Diesel Engine Spare Parts Catalog. 214464 8210SM27 Iveco 8210SM27 Marine Diesel Engine Spare Parts Catalog. 214465 8210SRM36 Iveco 8210SRM36 Marine Diesel Engine Service (workshop / repair) Manual. 214466 8210SRM36 Iveco 8210SRM36 Marine Diesel Engine Spare Parts Catalog. 214467 8210SRM38 Iveco 8210SRM38 Marine Diesel Engine Spare Parts Catalog. 214468 8210SRM40 Iveco 8210SRM40 Marine Diesel Engine Spare Parts Catalog. 214469 8210SRM45 Iveco 8210SRM45 Marine Diesel Engine Spare Parts Catalog. 214470 GE8210M22 Iveco GE8210M22 Marine Generator Set Spare Parts Catalog. 214471 8210i03 Iveco 8210i03 Industrial Diesel Engine Service (workshop / repair) Manual. 214472 8210i03 Iveco 8210i03 Industrial Diesel Engine Spare Parts Catalog. 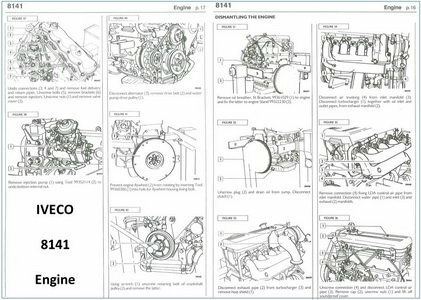 214473 8210Si02 Iveco 8210Si02 Industrial Diesel Engine Service (workshop / repair) Manual. 214474 8210Si02 Iveco 8210Si02 Industrial Diesel Engine Spare Parts Catalog. 214475 8210Si15 Iveco 8210Si15 Industrial Diesel Engine Spare Parts Catalog. 214476 8210SRE10 Iveco 8210SRE10 Industrial Diesel Engine Spare Parts Catalog. 214477 8210SRE20 Iveco 8210SRE20 Industrial Diesel Engine Spare Parts Catalog. 214478 8210SRE21 Iveco 8210SRE21 Industrial Diesel Engine Spare Parts Catalog. 214479 8210SRi10 Iveco 8210SRi10 Industrial Diesel Engine Service (workshop / repair) Manual. 214480 8210SRi10 Iveco 8210SRi10 Industrial Diesel Engine Spare Parts Catalog. 214481 8210SRi12 Iveco 8210SRi12 Industrial Diesel Engine Spare Parts Catalog. 214482 8210SRi25 Iveco 8210SRi25 Industrial Diesel Engine Spare Parts Catalog. 214483 8210SRi26 Iveco 8210SRi26 Industrial Diesel Engine Spare Parts Catalog. 214484 8210SRi27 Iveco 8210SRi27 Industrial Diesel Engine Spare Parts Catalog. 214485 8210SRi28 Iveco 8210SRi28 Industrial Diesel Engine Spare Parts Catalog. 214486 8210SRi29 Iveco 8210SRi29 Industrial Diesel Engine Spare Parts Catalog. 214487 8210SRi40 Iveco 8210SRi40 Industrial Diesel Engine Spare Parts Catalog. 214488 8210SRi10 Iveco 8210SRi10 Genset Engine Service (workshop / repair) Manual. 214489 8210G75 Iveco 8210G75 Genset Engine Spare Parts Catalog. 214490 8210G85 Iveco 8210G85 Genset Engine Spare Parts Catalog. 214491 8210i03 Iveco 8210i03 Genset Engine Service (workshop / repair) Manual. 214492 8210i03 Iveco 8210i03 Genset Engine Spare Parts Catalog. 214493 8210Si02 Iveco 8210Si02 Genset Engine Service (workshop / repair) Manual. 214494 8210Si15 Iveco 8210Si15 Genset Engine Spare Parts Catalog. 214495 8210SRG75 Iveco 8210SRG75 Genset Engine Spare Parts Catalog. 214496 8210SRG85 Iveco 8210SRG85 Genset Engine Spare Parts Catalog. 214497 8210SRi25 Iveco 8210SRi25 Genset Engine Spare Parts Catalog. 214498 8210SRi26 Iveco 8210SRi26 Genset Engine Spare Parts Catalog. 214499 8210SRi27 Iveco 8210SRi27 Genset Engine Spare Parts Catalog. 214500 8210SRi28 Iveco 8210SRi28 Genset Engine Spare Parts Catalog. 214501 8210SRM40 Iveco 8210SRM40 Genset Engine Spare Parts Catalog. 214502 8210SRM45 Iveco 8210SRM45 Genset Engine Spare Parts Catalog. 214503 GE8210G75 Iveco GE8210G75 Genset Spare Parts Catalog. 214504 GE8210G85 Iveco GE8210G85 Genset Spare Parts Catalog. 214505 GE8210SRG75 Iveco GE8210SRG75 Genset Spare Parts Catalog. 214506 GE8210SRG85 Iveco GE8210SRG85 Genset Spare Parts Catalog. 214507 GE8210SRi25 Iveco GE8210SRi25 Genset Spare Parts Catalog. 214508 GE8210SRi26 Iveco GE8210SRi26 Genset Spare Parts Catalog. 214509 GE8210SRi27 Iveco GE8210SRi27 Genset Spare Parts Catalog. 214510 GE8210SRi28 Iveco GE8210SRi28 Genset Spare Parts Catalog. 214511 GS8210SRi25 Iveco GS8210SRi25 Soundproofeed GEN Set Spare Parts Catalog. 214512 GS8210SRi26 Iveco GS8210SRi26 Soundproofeed GEN Set Spare Parts Catalog. 214513 GS8210SRi27 Iveco GS8210SRi27 Soundproofeed GEN Set Spare Parts Catalog. 214514 GS8210SRi28 Iveco GS8210SRi28 Soundproofeed GEN Set Spare Parts Catalog. 214515 PU8210i03 Iveco PU8210i03 Power Unit Spare Parts Catalog. 214516 PU8210SI02 Iveco PU8210SI02 Power Unit Spare Parts Catalog. 214517 PU8210SRi10 Iveco PU8210SRi10 Power Unit Spare Parts Catalog. 214518 8210SRC20 Iveco 8210SRC20 Automotive Diesel Engine Spare Parts Catalog. 214519 8210SRC21 Iveco 8210SRC21 Automotive Diesel Engine Spare Parts Catalog. 214520 8210SRC22 Iveco 8210SRC22 Automotive Diesel Engine Spare Parts Catalog. 214521 8210G75 Iveco 8210G75 Automotive Gas Engine Spare Parts Catalog. 214522 8210G85 Iveco 8210G85 Automotive Gas Engine Spare Parts Catalog. 214523 8210SRG75 Iveco 8210SRG75 Automotive Gas Engine Spare Parts Catalog. 214524 8210SRG85 Iveco 8210SRG85 Automotive Gas Engine Spare Parts Catalog.